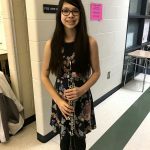 Solo & Ensemble Contest is just around the corner! 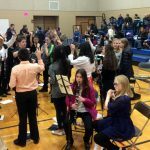 All around Northern Illinois students are working hard toward perfecting their music. What an awesome thing to contemplate. 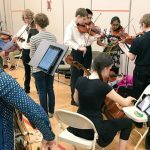 Music making is happening everywhere! 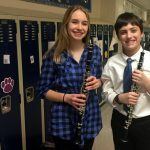 Contest is on February 25 at Lake Zurich Middle School North. Thank you to LZMS-North directors for their hard work in hosting contest this year. Edited (1/31/17) – The Rough Draft Schedule has been sent via email. Percussionists (mallet players) will play a scale from the Scales for Mallet Players sheet. 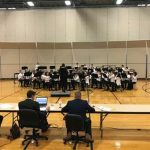 Performance time slots allow for a short clinic where the judge can work with the student. 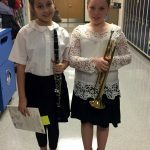 Please, prepare your students so they expect a short clinic where the judge may ask them to play various sections again as well as try different things. March contests will be here before we know it. 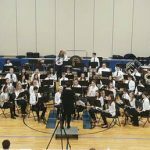 Thank you to the directors at Hawthorn MS North in Vernon Hills for hosting Organization Contest (Mar 10-11) and West Oak MS in Mundelein for hosting Jazz Contest (Mar 14). For specific rubrics, see Organization Contest Rubrics. 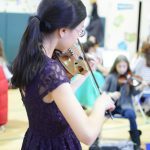 Performance time slots allow for a short clinic where the judge can work with the ensemble. 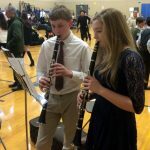 All ensembles should make every effort to enter and perform promptly to maximize their time for the clinic. 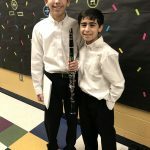 Please, prepare your students so they expect a short clinic where the judge may ask them to play various sections again as well as try different things.